From VMware PKS architecture, slide from VMworld 2017 US, you can see there is NSX to provide the network & security services for BOSH. To be more precise, this is going to be NSX-T. In the following few posts, I will cover setting up the vSphere Lab and prepare the hosts for NSX-T, and be ready for PKS. 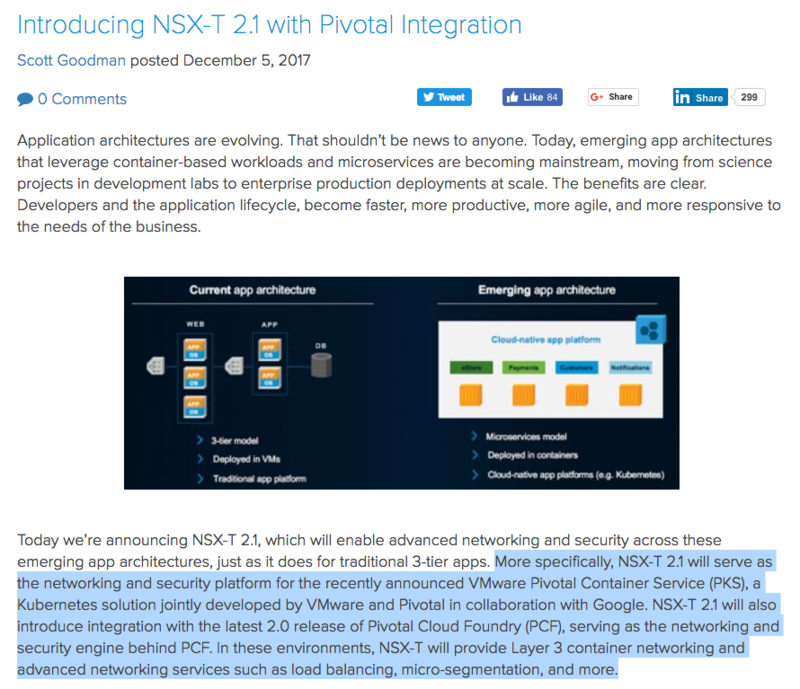 As you might have guess it by now, the version of NSX-T I will be using the lab will be 2.1 which supports PCF2.0 and PKS, specially I want to understand the CNI plugin. Stay tune. In the next few posts, I will cover the installation of vSphere, NSX-T, PCF and PKS.